Did you know that Susan has the brand new distress spray stains in the shop? I have been having a play and made another Christmas card using the sprays for the background. All the process steps can be found at Country View Crafts project blog today. It would be lovely if you could pop over and take a look. Wowww Brenda, awesome!!!! Love it! 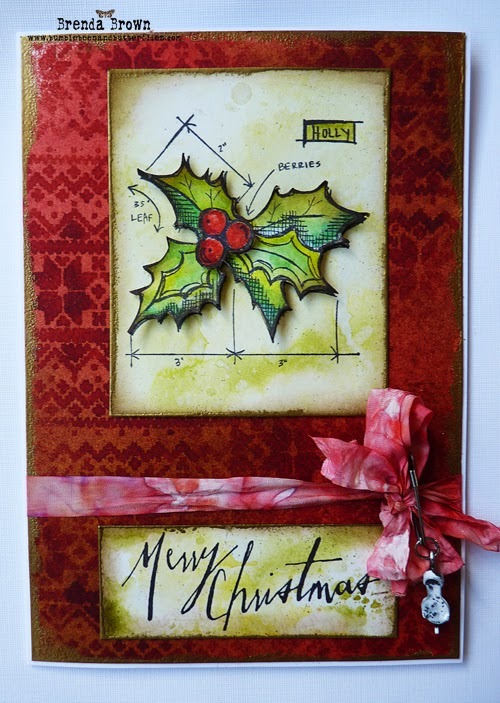 That sprayed and stencilled Christmas sweater background makes the perfect strong backdrop to the blueprint holly. Fabulous! Fabulous card, do love the grungy red ribbon suits the card brilliantly. Stunning card! Love all the layers and the holly is awesome! I got the other stamp set and I love this one too. Love it! The Bg looks great and this is a lovely card. A wonderful Christmas card, great dimensional look. A beautiful card, love the rich Christmas colours. 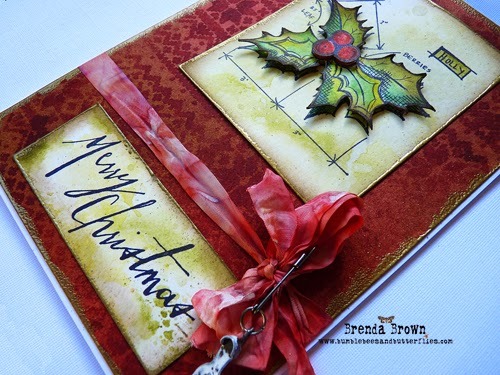 A fabulous Christmas card Brenda, I love the background and colours. really beautiful Brenda! Love the tone on tone background! I am going to try that! This card gives me a real christmas feeling, its beautiful! 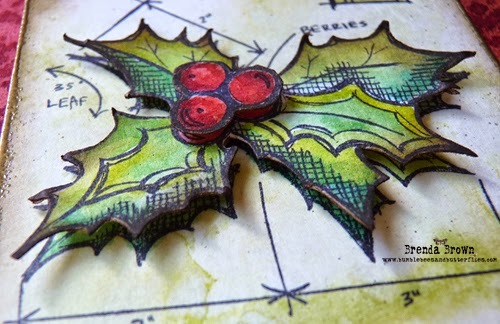 Gorgeous festive colours - and the layers work so well to give the holly a fab pop of dimension. Sorry I've missed so much… looking forward to some proper catching up soon!